Room & Board’s community partnership program is truly a partnership between Room & Board staff members in each of our markets and the nonprofit community partners we serve. “The program began in order to create opportunities for our staff members to volunteer and give of their time and talents. In order to make our charitable giving as a company more intentional, we have focused our partnerships. Organizations that support strengthening homes and families, institutions with a passion for art and design. Also, environmental organizations that support our commitment to sustainability. And, social service agencies committed to the care of those affected by AIDS/HIV in each of our markets,” said Wellness Manager Jessica Brama. 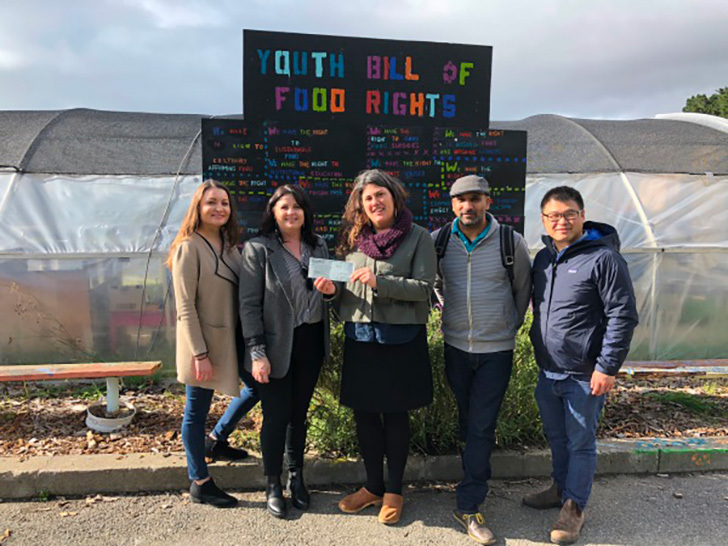 Our San Francisco team decided to choose Urban Sprouts, whose mission is to build just and equitable communities through garden-based education, as their partner. The organization fits our focus well and the team couldn’t be more excited to get involved and make a difference. “As we were selecting our new community partner, we were thinking about how we will work with them. It’s not just about the organization, it’s also about opportunities to help,” said Customer Support Associate Andre Sharp. 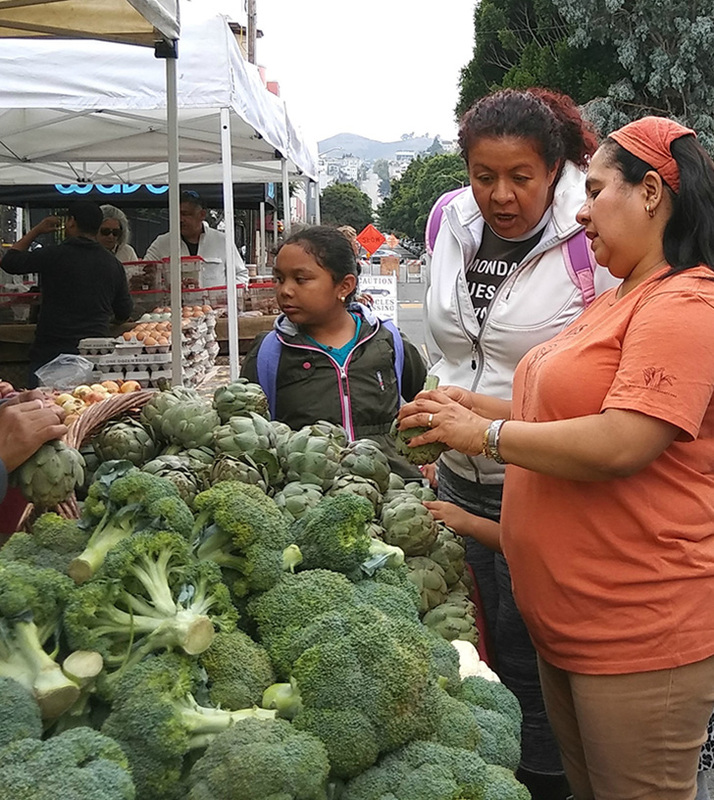 The San Francisco Retail and Delivery teams began the process of finding a new community partner in April of 2017, visiting three finalists in early December. They unanimously chose Urban Sprouts. Urban Sprouts’ garden-based education model teaches youth and their families how to build and maintain gardens. Also, how to prepare the produce for a healthier and more sustainable lifestyle. 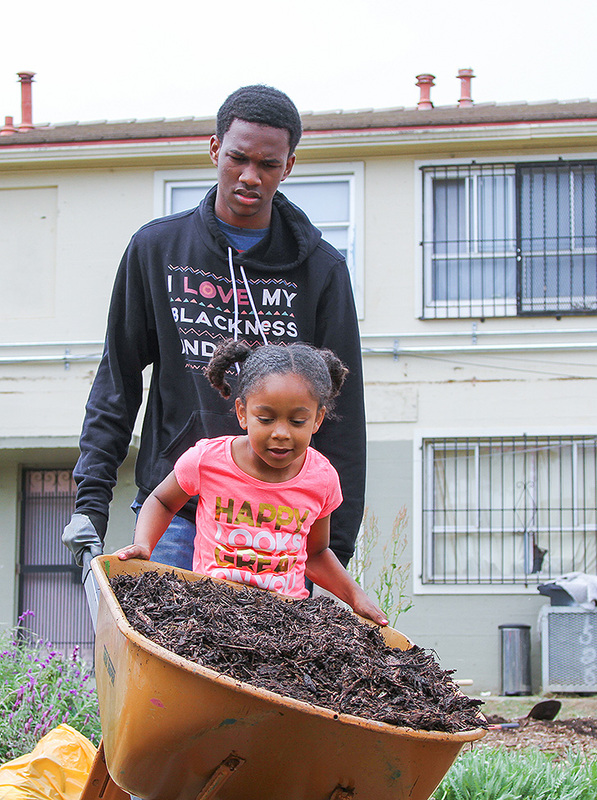 Urban Sprouts also partners with a worm farmer to enrich the soil. The facilities also include a full-service outdoor kitchen that is solar and soon-to-be wind powered, where cooking classes are held for the students and their families. Andre, Heather and their teams are excited to roll up their sleeves and jump in. “The staff is so welcoming. They make us feel like we’re at home when we’re there. I think this is going to work out really well for our teams and how we want to contribute,” Andre shared. When the team presented the Room & Board check on January 5, 2018, they were gratified to be met by some very excited Urban Sprouts staff as well as a few students participating in a cooking class. “Some of the students told us what they were going to cook. It was really great to see the work they are doing. It’s going to be fun!” Andre said.